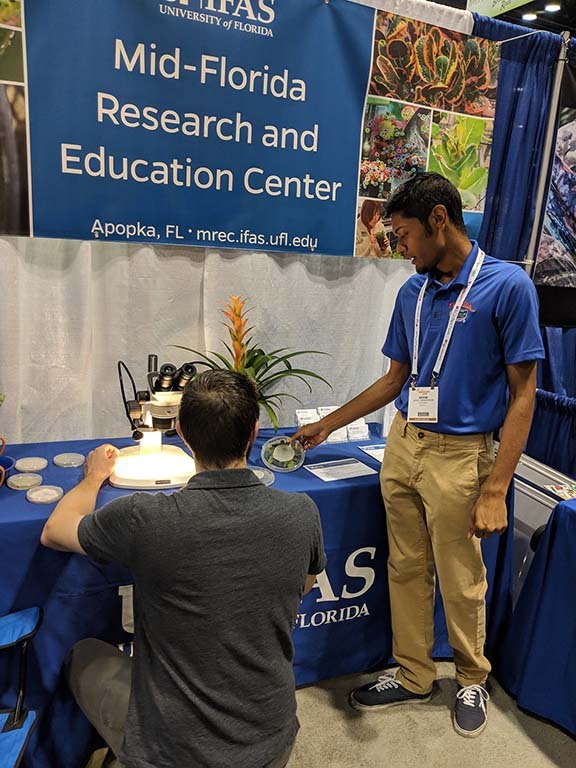 This week, we would like to spotlight Kevin Dewansingh, an undergraduate plant science student here at the UF IFAS Mid-Florida Research and Education Center (MREC) in Apopka. Kevin went to Valencia College to get his associate of arts degree then transferred into the UF College of Agricultural and Life Sciences. 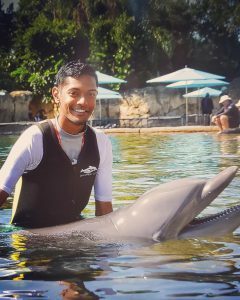 He wanted to stay in the Orlando area so chose to pursue his plant science degree at MREC. Read Kevin’s story below. 1. What is your major or main area of study? Do you have a specialization? I am an undergraduate student majoring in plant science. Here at MREC, I have the opportunity to specialize in landscape and greenhouse management. 2. What is your main motivation to work with plants? We live in a society where many people are disconnected from the green world. I am excited to share plants with people and show that we can keep Earth green while still being modern. 3. What is your favorite plant? I love tropical plants. Palms come to mind for their symbolism and versatility but I also have a few small collections of caladiums, amaryllis and bromeliads. 4. When did you realize you enjoyed working with plants and/or the natural sciences? In elementary school, I knew that I loved working with plants. It wasn’t until college that I realized I can make this interest a career goal. 5. What is your hometown? I was born and raised in New York City and my current hometown is Saint Cloud, Florida, which is about 30 miles south of Orlando. 6. Have you always been a University of Florida student or did you transfer to UF? I transferred to UF from Valencia College in Orlando. Valencia has an associate’s horticulture degree program but I was interested in all that UF has to offer with a bachelor’s program. 7. If you could have lunch with anyone, alive or dead, who would it be? I would choose Stephen Hawking, his intelligence is incredible to me. 8. What is your dream job? I would love to be a director for a botanical garden or park. 9. What is your favorite activity to do in your free time? Browsing plant nurseries and garden sales is both relaxing and fun for me. 10. What is the best advice someone has given you? “Put yourself first”, something everyone should consider when working toward their goals. For information about the UF plant science major and AA transfers follow this link or check out the MREC Teaching page. For more information about UF College of Agricultural and Life Sciences’ majors follow this link.